Nothing can ruin a garden or make a yard look like it has seen better days than weeds. 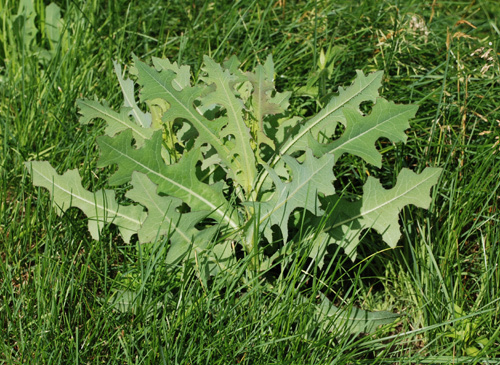 There are various methods you can use to reduce the number of weeds in your lawn. Here are a few natural ways to tackle them. Healthy Grass-Thick healthy grass with strong deep roots is naturally resistant to pesky weeds. To strengthen your lawn resilience, when mowing, use a mulching lawn mower. This allows your lawn’s clippings to return to the soil and its nutrients. In order for your lawn to achieve optimal health use a fertilizer which can be found at many large box stores. Efficiency- Getting down on your hands and knees and pulling each weed individually can be back breaking work. Purchase a Stirrup Hoe, a versatile tool that will cut the weed just below the soil and prevent new weed seeds. Weed Killer- Vinegar makes for a great weed killer with its acetic acid. It works best when sprayed on weeds that are still small and without strong roots. Before spraying it on your weeds cover any other surrounding plant life you want to protect. A well-manicured lawn provides your home with great curb appeal. If you are planning on selling your Jersey Shore home it only gets one chance to make a great first impression and that starts with curb appeal. The Ferzoco Group would love to help you sell or buy a new home along the Jersey Shore this spring. The Ferzoco Group is experienced in working with buyers and sellers from Ocean City to Cape May. If you are looking to sell or buy a home let us know how we can help. Our job is to make your tomorrow better than today. Contact us today via email or give us a call at 609-264-6762.